General FAQ about EVO software prduct – Product information questions you may have. Technical support – FAQ before you toss a technical question. How do I purchase EVO software product? Browse to Purchase page on our website and click on Buy button. You will be re-directed to Paypal payment page. How soon do I receive my license key? As soon as we receive an order confirmation e-mail from Paypal, we send out license key via e-mail to the e-mail address that was given in the order within next one hour or so. Is there any trial period for EVO software product? EVO Mail Server – 14 days. EVO Collaborator for Outlook – 7 days. Is there any difference between trial and registered versions? A trial version has full features that a registered version has. What is the software update coverage for EVO software product? EVO software product have perpetual licenses with life-time software update coverage and tech support via e-mail unless otherwise specified, such as annual subscription version. How do I obtain tech support if something is wrong with EVO software product? Contact us and our staffs will reply you as soon as possible. Please send us a scanned copy of proof showing you are a non-profit organization. Is there any business partner program? Yes, we do offer a business partner affiliate program. Please contact us via e-mail for more detail. Please refer to Server environment section on our website. How many e-mail accounts can EVO accommodate? Approximately 600 e-mail accounts under deployment of SSD for storage. How does EVO Mail Server deal with antivirus issue on e-mail messages? ESET NOD32 Antivirus for Windows. ESET File Security for Microsoft Windows Server. Why does EVO Mail Server only support NOD32 Antivirus? Anything else? Currently, NOD32 Antivirus is the only option now for it supports Command Line Scanner capability. If you know some other antivirus software with command line scaner, please let us know and our staff should be able to integrate it too. Does EVO Mail Server have anti-spam feature? EVO Mail Server deploys Spamhaus, graylisting, SPF (Sender Policy Framework), brute force password guesser prevention. Does EVO Mail Server have web mail feature? Does EVO Mail Server have group mail feature? Yes, you can create a group account to accommodate e-mail addresses. How does EVO Mail Server deal with POP3-Auth brute force attempts? Once an IP address is found failing login after 20 attempts within 3 minutes, EVO Mail Server will blacklist the IP address. Number of attempts and time frame are configurable in EVO Mail Server configuration file. Does EVO Mail Server support LDAP or AD login authentication? Yes, EVO Mail Server supports authentication with LDAP and AD without storing passwords locally. What web browser is compatible with Roundcube web mail? Major web browsers on the market are compatible with Roundcube web mail such as IE, Chrome, Firefox and etc. How many computers can use a license key at the same time? One license key is required for one computer. Is there any quantity discount if my company likes to purchase licenses in bulk volume? Yes, quantity discount is available. Please contact us for inquiry. What are the Outlook version requirement to run ECO? Please refer to spec table on ECO’s product page. How many languages are available for GUI? EVO Collaborator for Outlook’s GUI covers 25 languages. Please refer to the language selector on ECO’s ribbon. What servers and services does ECO synchronize with? Please refer to ECO’s Compatible Servers and Services page. Is it possible for me to DIY EVO configuration? Yes, it is possible to configure EVO Mail Server yourself. Please refer to Pre-installation and Configure EVO Mail Server sections on our website. After EVO installation, GUI appears to be all blank, red at top and white at the bottom. Why? Does EVO help my job of bulk e-mail distribution? Yes, EVO Mail Server is able to control number of outgoing e-mail messages on a per domain per hour basis. This mail delivery strategy will unlikely cause a situation that recipient mail server thinks you are a spammer. However, we advise you to abide to bulk e-mail policy and regulations posted by Gmail, Outlook.com, Yahoo! and etc. Does EVO Mail Server fully support iPhone and Android and will not show junky characters? What is the e-mail account capacity that EVO Mail Server can hold up to? 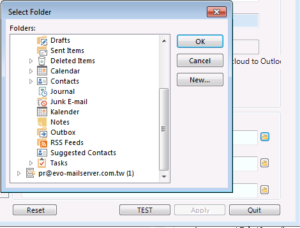 EVO Mail Server supports a company size up to 600 users and still runs smoothly. However, deployment of SSD to store mail data is a MUST. How come I cannot receive e-mail messages from others? There are many reasons for this issue. On server end, you need to check Internet connection, ports, DNS records and etc. On client side, you need to check Internet connection, user quota, mail software configuration, and etc. 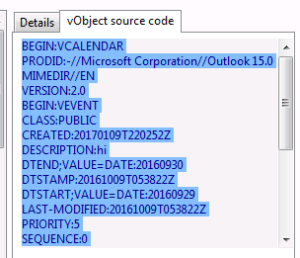 What is an EMSG01 error when I am activating EVO Collaborator for Outlook? What is an EMSG02 error when I am activating EVO Collaborator for Outlook? What is an EMSG03 error when I am activating EVO Collaborator for Outlook? What is an EMSG04 error when I am activating EVO Collaborator for Outlook? What is an EMSG05 error when I am activating EVO Collaborator for Outlook? What is an EMSG06 error when I am activating EVO Collaborator for Outlook? What is an EMSG07 error when I am activating EVO Collaborator for Outlook? Can I change ECO’s folder location? My company is running a proxy server. How do I configure ECO to use the proxy service? In error message, there is keyword GZip. What can I do to resolve the issue? I can NOT find EVO ribbon on office menu after installation. Why so? An error has occurred in the code of the add-in. Where do I enter my license key to activate EVO Collaborator for Outlook? EVO Collaborator for Outlook only syncs when opening Outlook and does not sync anymore. Check if profile passes test upon clicking on TEST button. If not, what is the error message to the right? Copy and paste it to EVO support desk for further analysis. After exiting Configure profile(s), does sync counter drop to 1 and start syncing? If not, check if any or both of Sync contacts and Sync calendars & tasks are checked? After synchronizing, click on contact, calendar & task folders monitored by ECO under Navigation Panel and check if entries are properly synced from the cloud? If not, check whether there is any Exception: error message to the right of ECO ribbon? If there is NO exception error, then click on Explore server button(s) above CardDAV actions for contacts & CalDAV actions for calendars & tasks. Click on profile to the left and see if the mid-column is listing entries from the server? If there are entries in the mid-column list, there may be issues on local Outlook’s PST file. To find out, re-assign folders under Sync option in Configure profile(s) to a fresh .PST file. How to create a PST file? Then, try syncing again. If still failed, contact us. Also, create an entry on cloud server and see if a newly created entry can be synchronized to Outlook or not? Create an entry and see if the entry creation will trigger sync counter ticks to 1 and start syncing? If not, check whether any or both of Sync contacts and Sync calendars & tasks are checked? Check if you create an entry in contact, calendar & task folders monitored by ECO under Navigation Panel? If entry is created in assigned folders and still fails synchronizing, then click on Browse local button above CardDAV actions for contacts & CalDAV actions for calendars & tasks. Copy & paste all content under vObject source code tab to EVO support desk for further analysis. Software trial has already been used on your PC and the trial period has expired. The license key you entered is in wrong format. Please check and enter it again. The license key you entered does not exist. Please check and enter it again or contact EVO staff and find out why. 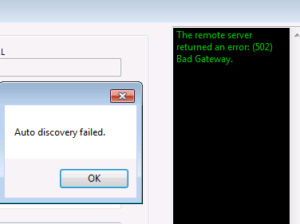 EMSG04 error indicates that this activation key has previously been used somewhere else. Please de-activate the key on your old machine beforehand. If your old machine is not available, please contact us and we will be glad to manually de-activate the key for you. This license key you entered is valid but it is not assigned to you. It may be our mistake, typo, or key generator issue. Please contact EVO staff to obtain a new license key specifically assigned to you. EMSG06 error indicates that the ECO license key is invalid. Please contact EVO staffs via e-mail for issuing a new license key. EMSG07 error indicates that the ECO license key is invalid. Please contact EVO staffs via e-mail for issuing a new license key. Edit C:\Users\<username>\Documents\Evo Collaborator Outlook\FolderSettings.ini with notepad.exe or UltraEdit. Open Outlook and now items will be synchronized to new destination. Make sure you have already configure username, password, server URL and port on your Internet browser. Edit C:\Users\<username>\Documents\Evo Collaborator Outlook\ProxySettings.ini with notepad.exe or UltraEdit. Open Outlook and synchronization will take place through your proxy server. In error message, there are keywords like GZip or Object reference not set to an instance of an object. What can I do to resolve the issue? Then click on Apply and Quit. I can NOT find EVO ribbon or menu item on Office menu at the top after installation. Why so? 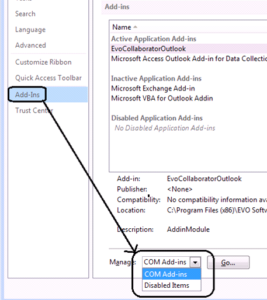 Level 1: Click on COM Add-ins -> Go... Click on box next to EvoColalboratorOutlook and click on OK.
Level 2: Click on Disabled Items -> Go… Click on Addin: EvoCollaboratorOutlook and click on Enable & Close button. Level 3: When noneof the above works, uninstall and reinstall Outlook. Exception Message: The secman.OutlookSecurityManager COM object is not registered. Uninstall the current ECO installation. Re-install with right-click on setup.exe and choose Run as administrator. An alternative way is to enable UAC and proceed with re-installation. Click on Data Files tab. 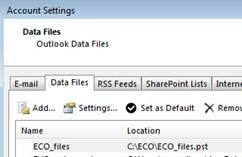 Select pst file that contains folders contains ECO files and click on Set as Default. After steps above, invitations that you receive in e-mail with place an appointment in your ECO-monitoring folders and these entries will be synced to your server. If you still have issue syncing, please provide your Anydesk ID and our staff will be glad to help you via a remote desktop session. Add a line like this NonPrivateGoogleCalendarVisibility, enter PUBLIC or DEFAULT right after “=” symbol. Then, click on FILE -> SAVE AS and save it in format of UTF-8 encoding. Press on a hot key of “CTRL+G” to select all gray-colored entries, entries that exist before ECO was installed. 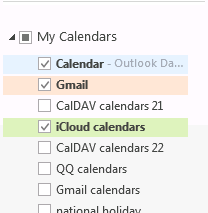 Click “O2C Outlook to Cloud Copy “ to manually upload all gray-colored entries to your CalDAV account. This upload will take some time if you currently have lots of entries. Click on “Explore server” button above “CalDAV actions for calendars and tasks”. Try disable any Outlook add-in that is not a part of Outlook itself. Run Office update to the latest build. Upgrade to Office 2013 or 2016 if they use Office 2007 or 2010 because these two Microsoft Office generation encounter some kind of unknown incompatibility especially Office 2010. There are occasions that your carddav/caldav server not updating to be compatible with TLS 1.1/1.2. Then, you may encounter “The request was aborted: Could not create SSL/TLS secure channel.” error while configuring profile. This issue happens to old version of ownCloud. Please confirm your ECO release version is v2.0.49 or later. If it is older than v2.0.49, then please update to the newest release. I think you run wrong bit-version of ECO. Before reinstalling ECO, please go to Control Panel’s Uninstall a program and uninstall ECO first. Then, please right-click on setup.exe (Note: Not the setup.exe inside <outlook 32bits> or <outlook 64bits>.) and select “Run as administrator” and let ECO to determine your Outlook bit-version. Error pops up and the Outlook addin cannot be uninstalled for upgrade or repair. Please refer to Microsoft’s Program Install and Uninstall troubleshooter. Install the tool and uninstall can be easy. Sympton: ECO only syncs at Outlook startup. Then, there is no timer counting down and clicking on Synchronize button does not initiate sync session. Solution: It may be caused by downgrading Outlook to an older version. Please refer to this solution page.